La-Z-Boy is a furniture manufacturer that makes different types of furniture for its customers. The products, which they make actually includes sleeper sofas, normal sofas, stationary chairs, recliners and many other things. The company has given employment to more than eleven thousand people. This furniture store actually sells thousands of retail furniture for residential outlets and all of them are distributed and manufactured as under the license. The company even imports the wooden furniture that includes different products and some others as mentioned above. They even supply furniture like entertainment centers, tables and chairs to different retailers of furniture. There are currently 2 consumer reviews about La-Z-Boy available. Share your review. furniture not in as promised. management arrogant. Please take a note that you are about to post a public review about La-Z-Boy corporate office on CorporateOffice.com. This review will be public, so please do not post any of your personal information on this website. 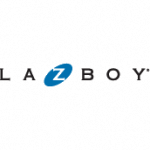 If you would like to contact the corporate offices of La-Z-Boy, please use their contact information such as their phone number, website, and address listed above to contact them. However, sometimes staff from La-Z-Boy headquarters do read the reviews on this website.